733 coal ash units in 43 states and Puerto Rico have reported information in compliance with federal coal ash safeguards since 2015. Here’s what the data said. Beginning in 2018, coal-fired electric utilities were compelled to publicly report groundwater monitoring data for the first time ever, following transparency requirements imposed by federal coal ash What is coal ash? The toxic waste produced when coal is burned by power plants to make electricity. regulations, known formally as the Coal Combustion Residuals Rule. For decades, utilities have disposed of coal ash dangerously, dumping it in unlined ponds and landfills where the toxins leak into groundwater. According to industry’s own data, more than 95% of the coal ash ponds in the United States are unlined. Almost all of them are contaminating groundwater with toxins above levels that the U.S. Environmental Protection Agency deems safe for drinking water. Much of industry’s disclosure of the data has been in abstruse and non-standard formats. The data can be difficult to find, despite the requirement that the information be publicly accessible. Some utilities fail to post the required information entirely or conceal it behind sign-in walls to prevent search engines from locating the disclosures. Legal and technical experts from Earthjustice, the Environmental Integrity Project, and partner organizations located and analyzed the data disclosures. More than 550 units — at 265 plants — reported groundwater monitoring data. Based on that data, 91% of these plants are contaminating groundwater with toxic substances at levels exceeding federal safe standards. All data included on the map are found in industry disclosures posted on individual owner/operator websites, with the exception of demographic estimates and congressional district information. The publicly available owner/operator websites, entitled “CCR Rule Compliance Data and Information,” are mandated by the 2015 CCR Rule so that the public, as well as state and federal regulators, can determine an owner/operator’s compliance with the requirements of the Rule. To the best of our knowledge, neither U.S. EPA nor any other entity has attempted to collect, review, and make public this information comprehensively. By providing these data, we are not confirming that the industry disclosures and documents are compliant with the CCR Rule or contain true, accurate, current, and complete information. In addition, while these data are the result of careful review of thousands of documents, we appreciate any information about data that may be out of date, or other errors and omissions. The 2015 CCR Rule contained a loophole exempting from any protections the “legacy” coal ash ponds located at retired power plants that closed before the effective date of the Rule (October 2015). These "legacy" ponds are not included in the data. In August 2018, the D.C. Circuit Court of Appeals concluded that the Rule’s exemptions for “legacy” ash ponds fell short of statutory requirements to protect human health and the environment, and ordered U.S. EPA to strengthen the Rule. Groundwater Contamination Summary Describes the status of groundwater monitoring and whether the operator has found groundwater contamination from coal ash. In the map, Toxic Metal Contamination is per formal industry disclosures. Based on groundwater data available for 265 plants, 91 percent of these plants are contaminating groundwater with toxic substances exceeding federal safe standards. Groundwater Monitoring in Process No statistically significant increases in coal ash contaminants detected above background levels to date. 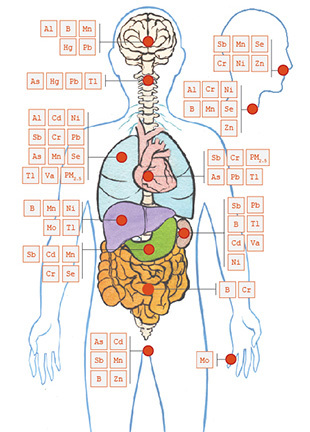 Toxic metals may still, however, be present. Significant Contamination Significant increases in contamination were detected, and enhanced monitoring for toxic metals such as arsenic, lead, and radium has been initiated. Toxic Metal Contamination from [X Metals] Significant increases above drinking water standards were found for the listed metals. Clean-up plan required by the CCR Rule to stop the release and restore groundwater to original conditions. Monitoring Not Yet Required The unit has received an extension under the CCR Rule and will begin groundwater monitoring in April 2019. Non-Compliance The operator has failed to establish a groundwater monitoring system as required by law. Unknown Monitoring is not required at this unit. For more detailed information about specific levels of contamination, please refer to Ashtracker. Liner Status Refers to whether the disposal unit was constructed with an impermeable barrier that meets the requirements of the CCR Rule. A liner must include both a synthetic membrane and a two-foot-thick layer of compacted soil, or an equivalent system. Unlined The unit lacks a liner, or the utility has failed to prove that it does have one, which are legally the same. Lined The unit has a liner that satisfies the CCR Rule. NA/Unknown The CCR Rule did not require landfills to disclose their liner status, so for most landfills, we do not have liner information. Closure Status Indicates whether the dump is still operating and, if so, whether the operator has provided notice that it intends to close the unit in the near future. Open The default status for units that have not posted any closure notices. Although activities may vary, we assume these sites are actively receiving new loads of coal ash. Notice of Intent to Close The operator has submitted a formal notice that it will stop dumping coal ash into the unit and begin the closure process in the near future. Closed The operator has indicated that the closure process is complete. For units that closed in place, post-closure care should be ongoing. Closure Type Specifies the method by which the operator intends to close the coal ash unit, or if the unit is already closed, the method the operator actually used. Operators must include this information in a public closure plan even if the impoundment is not yet closed. In Place Closing the dump by leaving the coal ash where it is and “capping” it with a cover. If a unit is closed in place, the operator must continue groundwater monitoring and other post-closure care for the unit for at least 30 years. Removal Excavating the coal ash and transporting it to a different disposal unit for permanent disposal. Unknown The operator has failed to disclose its closure method for the dump, or the closure plan is not yet required. Location Restriction Compliance Indicates whether the unit complies with the five location restrictions established by the CCR Rule. Aquifer New landfills, expansions and all ponds must sit at least five feet above the uppermost aquifer. Wetlands New landfills, expansions and all ponds must not be located in wetlands, unless operators can demonstrate that the unit does not degrade the wetlands, among other requirements. Fault Areas New landfills, expansions and all ponds must not be located with 200 feet of a fault active within the last 12,000 years. Seismic Impact Zones New landfills, expansions and all ponds must not be located in a place that has at least a 2% chance of a significant earthquake in the next 50 years. Unstable Areas All landfills and ponds must not be located in places that could result in structural damage because of poor foundations (e.g., karst terrain). A value of NA indicates that the requirement does not apply to the unit in question, or that disclosure is not yet required. Hazard Rating Describes the potential for loss of life or damage if there is a dam failure at a coal ash impoundment. HIGH Failure or mis-operation of these dams will probably cause loss of human life. SIGNIFICANT Failure or mis-operation of these dams would probably not cause any deaths, but it would cause economic loss, environmental damage, and disruption of lifeline facilities. LOW Failure or mis-operation would be unlikely to cause loss of life or significant economic or environmental losses, with losses principally limited to the owner’s property. INCISED These impoundments do not have dams because they are entirely below ground level. Therefore they have no dam ratings, although underground failures can and do occur. UNKNOWN The operator of the surface impoundment failed to post the required information. NA This requirement only applies to surface impoundments, not landfills. Volume Indicates the quantity of CCR and, if applicable, water held in the unit as of 2018. All measurements are in cubic yards. Some quantities are converted from acre-feet, gallon, and ton values provided by industry. For ton to cubic yard conversions, we assumed a unit weight of 1.2 tons/cubic yard, an estimate used in Duke Energy compliance documents for wet ash. Estimates are given based on historical data where annual data are not available. A value of * indicates the operator did not disclose individual unit numbers, and instead combined them together. Operator's Compliance Website The publicly accessible website required by the CCR Rule where the operator’s compliance documents must be posted. Most of these data were drawn from industry websites. Demographic Data Estimates were generated using the 2012–2016 American Community Survey (ACS) from the United States Census Bureau and are available in EJSCREEN’s Standard Reports, along with information about other demographic indicators, EJ Indexes, and environmental indicators. Low-Income An estimate of the percent of individuals in households where the household income is less than or equal to twice the federal poverty level. People-of-Color An estimate of the percent of individuals who list their racial status as a race other than white alone and/or list their ethnicity as Hispanic or Latino. EJSCREEN was designed in the context of EPA’s environmental justice policies and is a screening tool that can help identify areas that may warrant additional consideration, analysis, or outreach. In a few cases, data for the 3-mile radius surrounding facilities is unavailable, so the 5-mile results are shown. More information about EJSCREEN’s methods and purpose, ACS data, and their caveats and limitations, especially when looking at small geographic and low-density areas, is available in U.S. EPA’s 2017 Documentation. The 2015 Coal Combustion Residuals Rule is the first-ever federal safeguards against coal ash pollution. The protections were the result of more than a decade of litigation by Earthjustice, on behalf of our clients and alongside our partners. Harm to human health from breathing and ingesting coal ash toxicants. Open infographic. Coal ash, the toxic remains of coal burning in power plants, contains a hazardous brew of toxic pollutants including arsenic, boron, cadmium, chromium, lead, radium, selenium, and more. The toxics in coal ash can cause cancer, heart disease, reproductive failure, and stroke, and can inflict lasting brain damage on children. Earthjustice fights in the courts for a long-term solution to this toxic menace. And we act on behalf of dozens of clients and coalition partners to defeat legislative attempts to subvert federally enforceable safeguards of coal ash. Is Drinking Water Safe Near Contaminated Coal Ash Sites? Both U.S. EPA and public interest groups have identified at least 24 sites where private wells have been contaminated by coal ash. Most often, neither power companies nor state regulators test private drinking water wells. Most state regulations and U.S. EPA’s CCR Rule require plant owners to test only onsite groundwater. As a result, contamination may go undetected in private wells for years, because most coal ash pollutants have no telltale taste or color. While there is ample groundwater data for most coal plants sufficient to establish that groundwater is contaminated above levels that are safe to drink, determining the quality of drinking water in nearby communities is much more difficult due to lack of data. Consequently, we cannot at this time determine the safety of drinking water near the hundreds of coal ash dumps covered by the CCR Rule. Even with scant data available nationally, there is nevertheless historical evidence that coal ash ponds, landfills, and “beneficial use” have contaminated residential drinking water wells. Case Study: Town of Pines. The most widespread drinking water contamination occurred in Town of Pines, Indiana, from a leaking landfill and coal ash used as “fill” throughout the town. As a result of the water contamination, U.S. EPA declared Town of Pines a Superfund site in 2001, and NIPSCO, the utility responsible, eventually provided municipal water to most residents and removed coal ash and contaminated soil from the town. 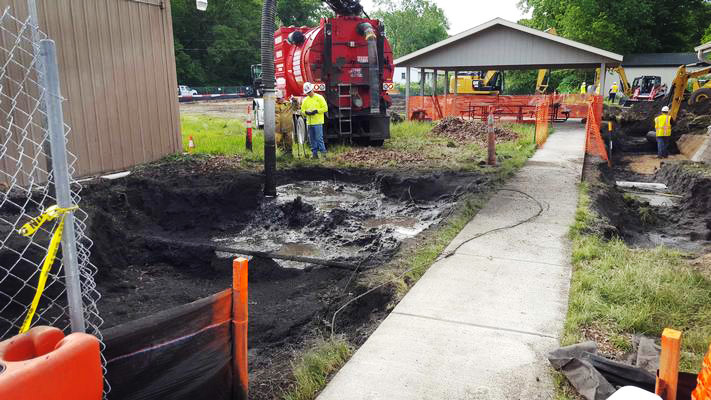 Vac truck excavation work near the town pavillion in Town of Pines, Indiana. Below are the 24 sites, known at this time, where coal ash ponds, landfills, and “fill” sites contaminated private drinking water wells. 1 The groundwater contaminants represent the constituents found in groundwater both onsite and offsite. * Asterisked sites and sources do not appear in this website's CCR Rule Compliance map dataset, either because they are related to “legacy” ash ponds that will need to come into compliance per the Aug. 2018 D.C. Circuit Court order, or to disposal sites that are not subject to the CCR Rule for other reasons. For example, the CCR Rule does not regulate landfills that ceased receiving coal ash before October 2015. Earthjustice (2009): Earthjustice. Waste Deep (2009). Citizen Times: Clarke Morrison, Citizen Times, Groups seek to join Duke coal ash lawsuits (Jan. 17, 2014). ECC Report (2016): Environmental Consultants and Contractors, Report of Findings, Potable Well Findings (April 6, 2016). CNN (2012): John Sepulvado, CNN Radio, A power plant, cancer and a small town’s fears. (April 1, 2012). GA Power: Georgia Power, Plant Scherer CCR Rule Compliance Information, Appendix IV SSI Notification, Golder Associates (Nov. 14, 2018). For decades, discharges of coal ash-contaminated water to reservoirs, lakes, rivers and streams have caused significant harm to fish and wildlife. The release of bioaccumulative toxins from coal ash, including arsenic, cadmium, chromium, lead, mercury, and selenium, has caused fish kills, deformities in fish and amphibians, and health hazards to people consuming contaminated fish. Selenium is a particularly dangerous contaminant because it is toxic to aquatic life at very low levels. 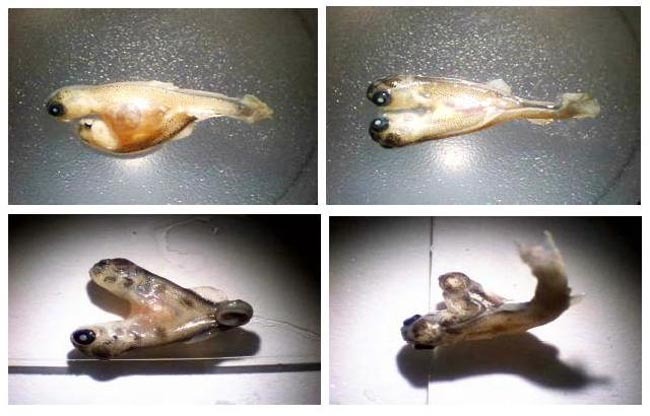 A study commissioned by the J.R. Simplot Company on selenium contamination in creeks in southeast Idaho includes photos of deformed Yellowstone cutthroat trout (top) and brown trout (bottom). Selenium is one of the most common coal ash contaminants found near coal ash dumps — frequently at levels higher than those measured in the Idaho stream that spawned the two-headed fish. In addition, selenium bioaccumulates in food chains and passes from parents to offspring in eggs, where it causes a variety of skeletal deformities and other abnormalities in the developing embryos. This can lead to massive reproductive failure and local extinction of species. At least three toxins common to coal ash, including arsenic, methyl mercury, and selenium, can result in biomagnification in aquatic organisms, thereby increasing the danger of ingestion by humans and other animals. A review of documented environmental damage since 1967 reveals that harm from coal ash has injured fish, birds, amphibians, and wildlife at multiple locations across the United States. Case Study: Belews Lake. The most studied case of coal ash damage occurred at Belews Lake in North Carolina in the 1970s, when coal ash-contaminated water from an ash pond at Duke Energy’s Belews Creek Steam Station caused a long-term catastrophic toxic event. Selenium poisoning killed 19 of the 20 fish species in 3800-acre Belews Lake. Adverse impacts in fish and birds persisted at the lake for decades. 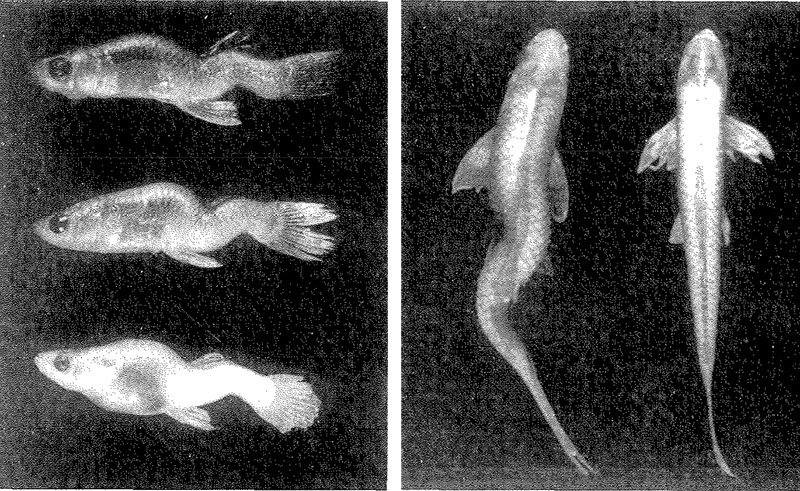 One of the most visible effects of selenium in Belews Lake was spinal deformities, as shown in mosquitofish (left) and a red shiner (right). Individual on the far right is normal. The following list of contaminated waterbodies, documented by U.S. EPA and scientists, is not comprehensive of all the coal ash-impaired waters in the United States, because water quality data for surface water and fish tissue data is available for only a limited number of sites. This list, nevertheless, comprises 28 sites in 15 states and provides a limited snapshot of the toll of coal ash on aquatic environments. 1 Lemly (2012). A Dennis Lemly and Joseph P. Skorupa, Wildlife and the Coal Waste Policy Debate: Proposed Rules for Coal Waste Disposal Ignore Lessons from 45 Years of Wildlife Poisoning, Environ. Sci. Technol. 2012, 46, 8595−8600. Lemly (2012): A Dennis Lemly and Joseph P. Skorupa, Wildlife and the Coal Waste Policy Debate: Proposed Rules for Coal Waste Disposal Ignore Lessons from 45 Years of Wildlife Poisoning, Environ. Sci. Technol. 2012, 46, 8595−8600. Lemly (2013): A. Dennis Lemly, Biological Assessment to Determine Impacts of Selenium Pollution From Coal Ash Wastewater Discharges on Fish Populations in Lake Sutton, NC. (November 5, 2013). Owners of 88 plants in 25 states have posted public notifications that leaking coal ash ponds and landfills at their sites have contaminated groundwater above state and/or federal heath limits for one or more of the following toxic substances: Antimony, Arsenic, Barium, Beryllium, Cadmium, Chromium, Cobalt, Lead, Lithium, Molybdenum, Selenium, Thallium, and Radium 226 and 228 combined. Clean-up Plan: Each plant owner must develop a clean-up plan (“corrective measures assessment”) designed to remediate any coal ash releases and to restore the contaminated area to its original condition. These clean-up plans must be completed within 180 days of discovering the contamination, and must be posted on the industry’s publicly accessible website 30 days later. The utility owner can qualify for a 60-day extension in certain cases. A few clean-up plans are now available, and more should be posted on industry websites in the spring and summer of this year. Public Meeting: The plant owner must discuss the results of the corrective measures assessment with interested and affected parties at least 30 days before the company selects a remedy. While there is no strict deadline for remedy selection, the utility must select a clean-up plan “as soon as feasible.” Thus, the exact date of a public meeting will be determined on a site-by-site basis. Public Engagement in the Clean-up Process: It is critical for affected communities to play an active role in the review of the clean-up plan and in the clean-up selection process. Because there is no required oversight role for U.S. EPA or state regulators, active community members are the frontline for ensuring adequate clean-up at these contaminated sites. Community evaluation of the clean-up plans will be necessary to ensure timely, comprehensive, and health-protective remediation. The 88 plants are listed in the first table below. If the unit is a coal ash pond, the table indicates whether the ash pond is lined and whether the pond violates the federal aquifer separation standard, which requires five feet of separation from the base of the pond to the underlying groundwater. Owners/operators may attempt to show that an alternative source is responsible for the contamination. Clean-up plans (“Corrective Measures Assessment”) are required at all plants, if the owners do not demonstrate that a source other than the regulated coal ash dumps caused the contamination. Corrective Measures Assessment must be initiated within 90 days of contamination notifications and must be completed within 90 to 150 days of initiation, and publicly posted 30 days after completion. In the second table are three plants that have posted public notifications that leaking coal ash ponds and landfills at their sites have contaminated groundwater above state and/or federal heath limits, and are attempting to show that an alternative source is responsible for the contamination. Contaminants in (parentheses) indicate state-level exceedences. Contaminants in italics were demonstrated that a source other than the regulated coal ash dumps caused the contamination (Alternate Source Determination). The Environmental Integrity Project and Earthjustice have identified the ten most contaminated sites nationwide, based on a combined measure of the extent to which each pollutant exceeded safe levels at each site. The report, Coal’s Poisonous Legacy: Groundwater Contaminated by Coal Ash Across the United States, explains the methods for ranking the sites and discusses each site contamination in detail. This table summarizes the pollutants that were present at unsafe levels and the degree to which each pollutant exceeds a safe level. Exceedances greater than 50 times a safe level are in red. Nationwide, the burden of coal ash pollution is carried disproportionately by communities of color and low-income communities. Populations of people of color and/or low-income residents are higher than the state average at six of the ten most contaminated sites with residential populations within three miles of the coal ash dumps. These communities are unlikely to have the resources to routinely test their drinking water, and they often lack access to adequate medical care and legal assistance. In addition, these communities frequently confront multiple toxic threats that accentuate health risks. Finally, such communities often lack the political power necessary to garner the attention and assistance of regulatory agencies and elected officials. Coal ash creates issues of environmental injustice, where harm falls disproportionately on our nation’s most vulnerable communities. Percentages in red are above state averages. Please see map notes above for methods and sources in generating demographic data. Even as the U.S. Environmental Protection Agency, under the Trump administration, moves to weaken protections from coal ash pollution, in August 2018, the D.C. Circuit Court of Appeals handed a pivotal victory to the American public, in a lawsuit brought by Earthjustice, on behalf of public interest groups. Late last year, Earthjustice — with the Environmental Integrity Project and Sierra Club — filed a petition for review challenging the new U.S. EPA rule that modifies the 2015 CCR Rule to, among other changes, give power plant owners more time to clean up leaking coal ash sites that have been shown to have contaminated groundwater. For coal ash, the winds are shifting. And we will continue to work alongside impacted communities to bring industry and federal agencies accountable to the law. Learn more about our fight at Coal Ash Contaminates Our Lives. Earthjustice's Coal Program works to end our nation’s reliance on dirty, expensive, and outdated coal-fired power plants, and to achieve a just transition to a clean energy economy. The coal industry has managed to avoid cleaning up its mess by hiring well-paid lobbyists and lawyers to create and exploit loopholes in our nation’s environmental laws. Earthjustice lawyers are changing this dynamic. See what we've achieved.